One ASX explorer with well-connected international talent on its Board, and deep pocketed financiers is moving directly towards commercialising the first of its two primetime assets. 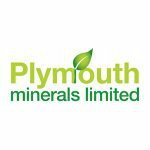 Plymouth Minerals’ (ASX: PLH) San Jose lithium project in Spain is not only open along strike and at depth, there is also a good chance of seeing its already hefty 120Mt exploration target rise significantly over the coming months. PLH also has the potential to see PLH doubling its Maiden Resource within a year. Lithium is one of the hottest commodities right now, but PLH also has its hands on a project at which it is exploring for another commodity that is also gaining high level interest. PLH recently announced that it had completed the third Phase One drill hole on its 100% owned Banio Potash Project in Gabon. Samples have been dispatched and results are due shortly. What we do know already is that drilling has already delivered big broad intercepts of potash. PLH has two highly prospective projects on the go; exploring for two commodities that are in the midst of substantial increasing demand. As such there are plenty of catalysts on the horizon including a Scoping Study due in Q3 2017, a Mining Lease Application to be lodged late in Q3 and a PFS to potentially be delivered as early as Q4 this year. It is full steam ahead for the company as it eyes commercialisation. Unless you’ve been hiding under a rock for the past two years, you will no doubt have heard about the upswing in demand for lithium. In terms of valuations amongst lithium explorers, lithium prices and final end-users of lithium — all aspects of the lithium supply chain have experienced significant growth.